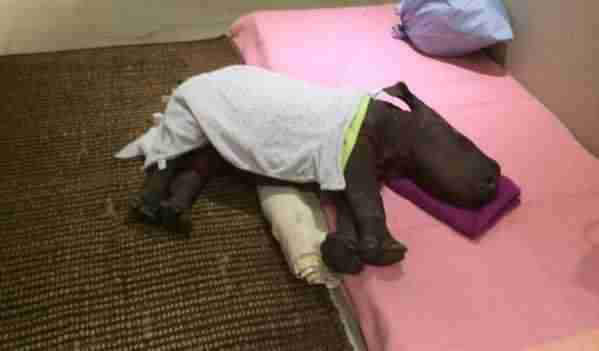 "The different rhino calves have favorite blankets which they particularly like, and will also drag their blankets in play and to move them where they want them." 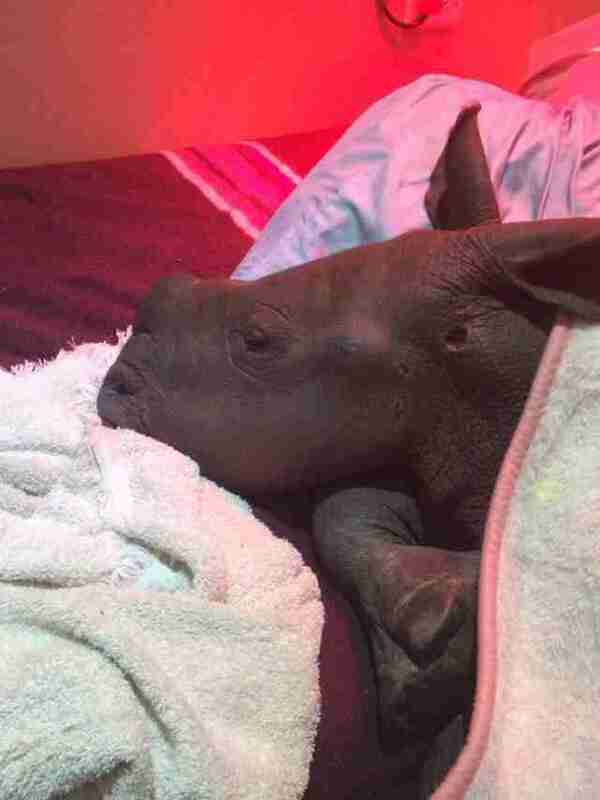 A black rhino calf named Storm arrived at Thula Thula Rhino Orphanage extremely ill - he had pneumonia and a gastrointestinal disorder. 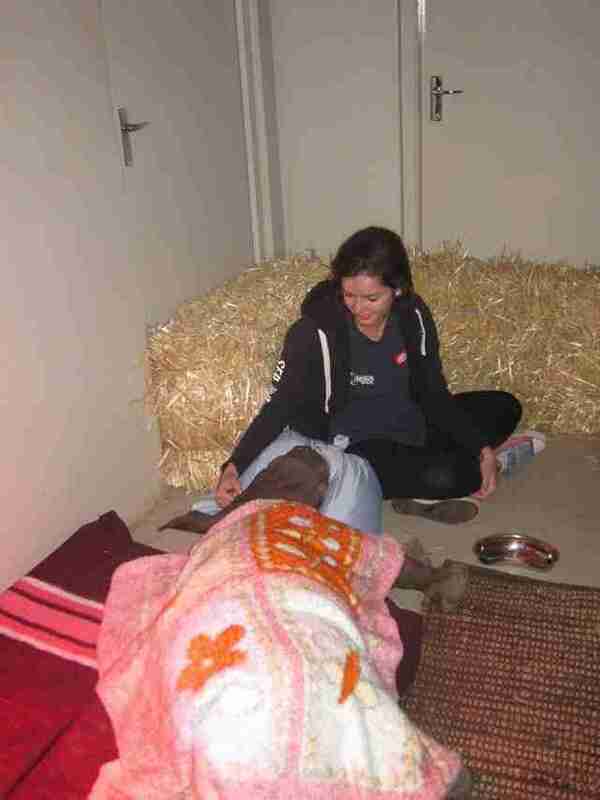 If he was going to survive, Storm needed extensive medical treatment, and he needed to be kept warm - very warm. To do this, workers at the orphanage swaddled Storm in two comfy blankets. 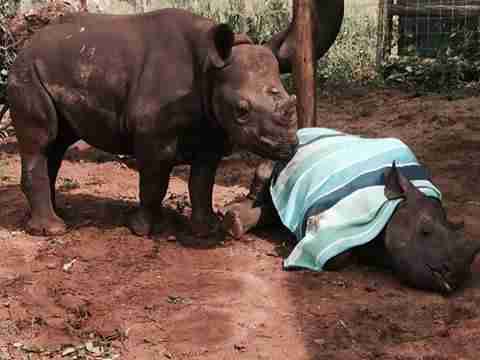 Storm isn't the only baby rhino who's needed a blanket or two. Most orphans could use the extra warmth. 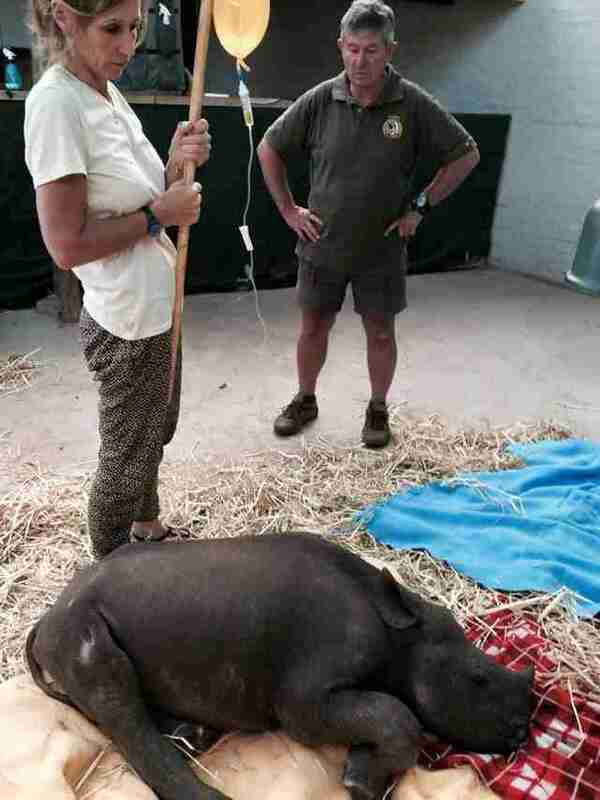 "The very sick, weak and young calves have trouble maintaining body temperature," Karen Trendler, the director of Thula Thula Rhino Orphanage, told The Dodo. "Blankets not only keep them warm, but provide a feeling of security." Sue Brown, a good friend of Trendler's and the founder of Rhino Alerts (an organization that raises funds for rhino charities), started a Facebook group called Blankets for Baby Rhinos. Members are encouraged to knit or donate blankets, or contribute squares that will be made into a quilt. Brown will be the one sewing the squares together. So far the group has about 600 members and Brown reports that quilt squares are already arriving from abroad. "They're donating not only their time, but raising awareness and getting a very important job done," she tells The Dodo. "It's fun and engages a group of people that in the past may not have been involved with Rhino or any other conservation group." The quilts and blanket donations will go Thula Thula Rhino Orphanage in South Africa, a rescue and rehabilitation center that helps baby rhinos who have lost their moms to poaching. 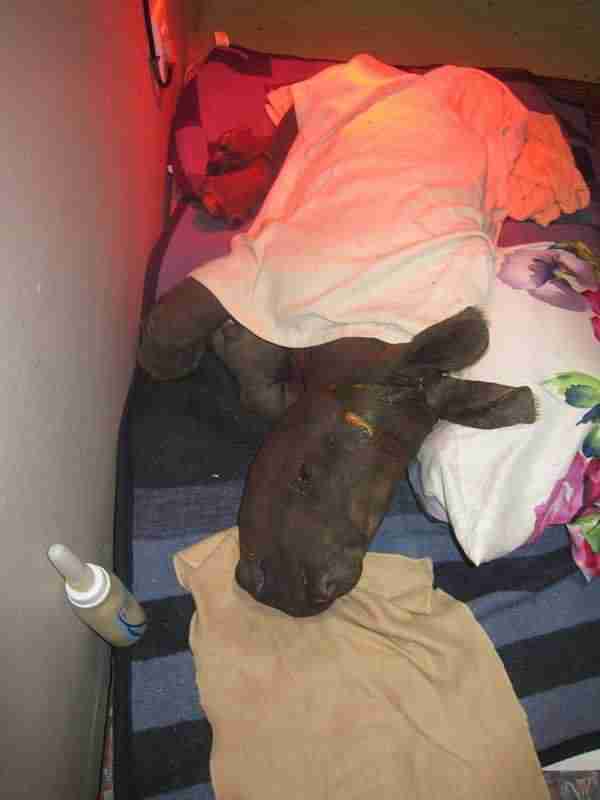 Without their moms, it's hard for baby rhinos to maintain body temperature, so they'll put the blankets to good use. "When the calves' weight is low, not only do they struggle to maintain body temperature but by keeping them warm, we ensure that the energy they're getting in through the milk all goes to putting on weight and regaining condition, and isn't wasted trying to keep its body temperature up," Trendler explained. "A calf that is chilled and underweight is more prone to hypoglycaemia." Blankets serve another purpose - they help keep injuries clean. "Many calves arrive with injuries, and providing blankets to lie on rather than bedding straw prevents straw and debris getting into and adhering to the wounds and is more comfortable for the calves," Trendler said. 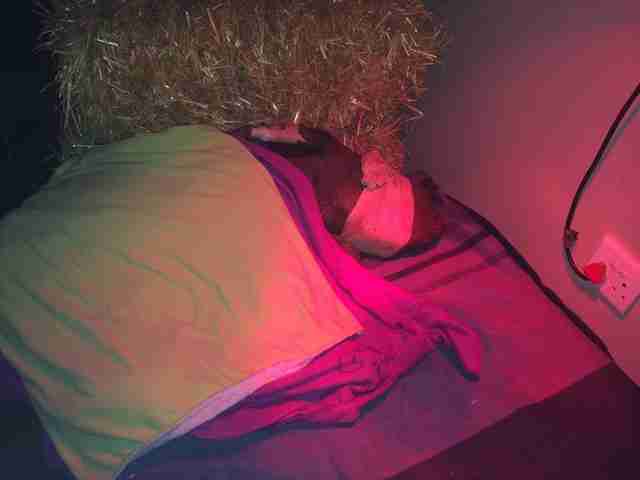 "Hygiene and monitoring of feces and urine output is easier on blankets than bedding straw." But the blankets don't just serve a practical purpose - they also provide comfort and security to orphaned rhinos who have lost their families. Some rhinos become so attached to their blankets that they carry them around with them, according to Trendler. 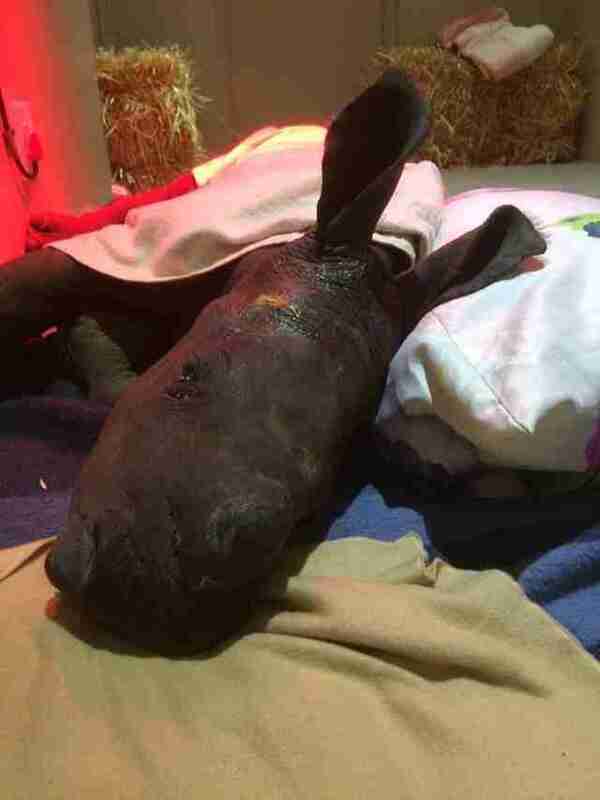 "The different rhino calves have favorite blankets which they particularly like, and will also drag their blankets in play and to move them where they want them," she said. "The black rhino in particular are great at moving blankets around." Some people might question why rhinos need blankets at all, especially since rhinos don't use blankets in the wild. But Trendler explained that blankets are important. "In the wild ... they have big warm protective hot water bottles in the form of their mom and nature designed milk and feeds," she said. "I can promise you that over the years of rearing and rehabilitating hundreds of rhino calves, there hasn't been a single one who has taken a blanket back to the bush with them. Interestingly we find that as soon as the calf feels better, they chose soft sand and bedding straw and not the blankets." Storm the black rhino loved - and needed - blankets so much that Trendler would tie a blanket around him when he moved around the orphanage. "Because Storm was so tiny and sick, he just couldn't control his temperature and would get cold and shivery very easily," she said. "If he went out in the wind, we'd tie the blanket around him so that it didn't blow off. 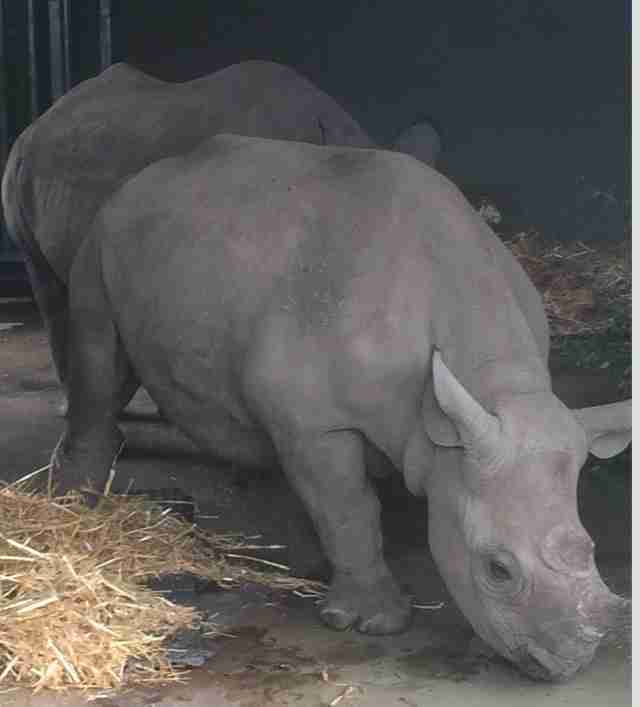 Nandi was also quite naughty and would pull his blanket off!" A year later, Storm has made an amazing recovery - he's bigger, stronger and healthier. And blankets played a big role in getting him there. 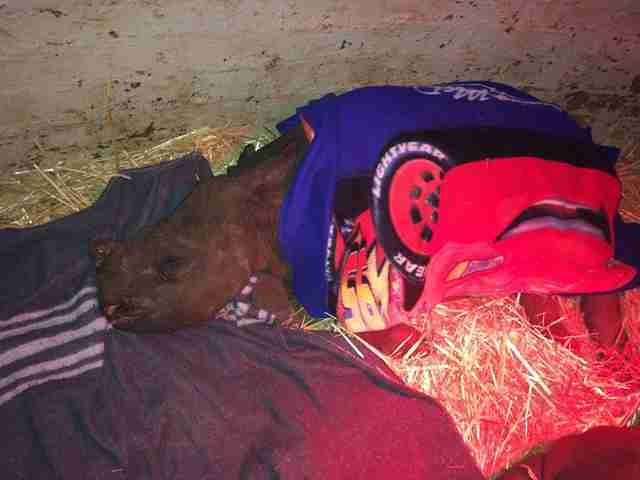 If you're interested in donating or making a blanket for a baby rhino, join the Blankets for Baby Rhinos Facebook group. 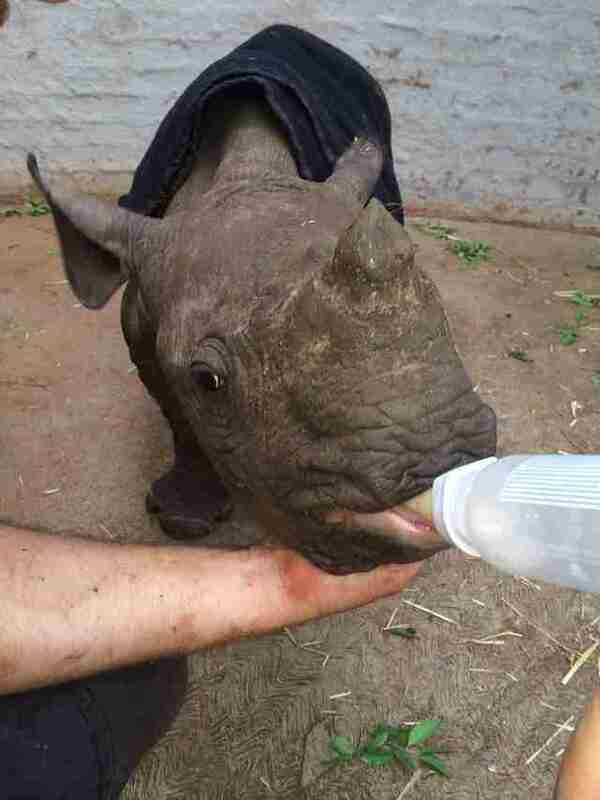 You can also support Thula Thula Rhino Orphanage by making a donation here.